Mirror photo by Gary M. Baranec Deka Abernathy, owner of Deka’s Downtown Salon in Williamsburg, styles the hair of customer Beverly Rhodes on Wednesday. This September, Abernathy will celebrate 50 years in the business. WILLIAMSBURG — Deka Abernethy knew from a young age what she wanted to do with her life — she wanted to be a hair stylist. In September, Abernethy, 68, will mark 50 years in the business. Abernethy, then Deka Royer, started taking classes at the age of 15 at Pruonto’s Hair Design Institute in Altoona. She graduated from Williamsburg High School in June 1968 and from Pruonto’s that September. She immediately got a job at a beauty shop in State College and scrapped her plans to attend college. “I thought I could go to college part-time. I wanted to major in home economics and minor in art, but I did so well as a stylist, I didn’t go to college,” Abernethy said. 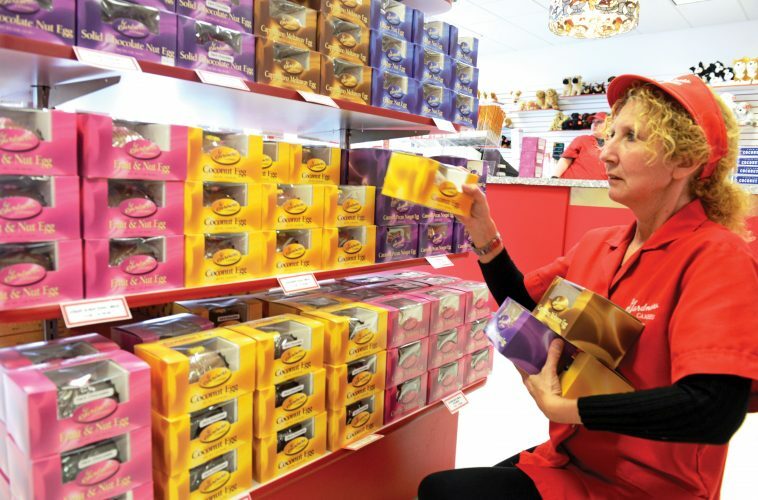 After two years, she took a job in the J.C. Penney Salon in the Logan Valley Mall. She also worked at Penney’s in Pittsburgh. She met well-known radio executive Bob Abernethy in 1974, and they were married in 1975. After she met Bob, she opened Deka’s Hairport on Pleasant Valley Boulevard. Her husband’s job took the couple to St. Petersburg, Fla., and she opened Styles and Stuff, where she also sold antiques. The couple then moved to Boston, where they had their son, Eric. “When I wasn’t working, I still did the neighbors’ hair. I never quit doing hair,” Abernethy said. After five years in Boston, the Abernethys returned to St. Petersburg, Fla., where Deka opened Beauty by the Bay. “It was in an apartment complex with about 2,400 apartments and condos right on Tampa Bay. You couldn’t help but make money. I had five operators and two nail technicians,” Abernethy said. 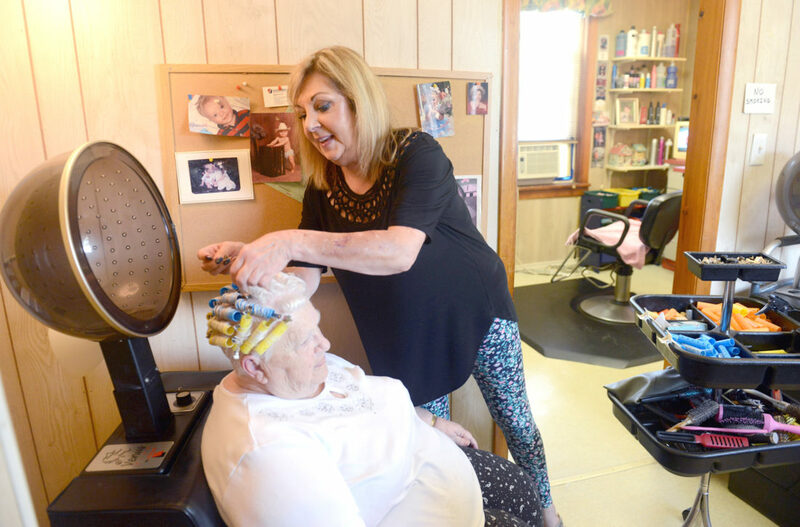 In 2001, the couple came to Williamsburg to help take care of Deka’s parents, and she then opened Deka’s Downtown Salon — her current business — in a shop started by her aunt, Ann Royer, in 1948. Abernethy pointed out that her husband, who passed away in 2015, named all of her shops. She called her aunt, who died in the late 1990s, her role model. “My aunt and I spent a lot of time here. When I was little, I always knew I wanted to do something with hair,” Abernethy said. The business has changed over the years. “I love doing hair, and I love talking to the people. They’re more than customers — a lot of them are friends. You get to know them pretty well,” Abernethy said. Beth Teeter of Roaring Spring and Nancy Gunnett of Williamsburg are among her loyal customers. Teeter said she first met Abernethy when they both worked at J.C. Penney’s in the Logan Valley Mall. “She’s a friend, and I like what she does. There are others I could go to, but I’m satisfied with what she does, and I like to support her as long as she does this,” Gunnett said. Abernethy is glad that she is still working. “All of my friends quit a long time ago. There aren’t many my age still doing hair. It just feels great,” Abernethy said. She believes that her aunt would be proud of her. “That I’m doing it in her house would make her extremely happy. I’m back here and following in her footsteps. She was a good hairdresser,” Abernethy said. Abernethy plans to keep working and has advice for young people who may consider entering the field. “I hope to continue working for 10 years. I never thought about retiring. The best thing about having the business in your own home is you can work when a customer needs you,” Abernethy said. “The best thing (to do) after you graduate from beauty school is to work in a shop to learn the tricks of the trade that they don’t teach you in beauty school. Pay attention to the older hairdressers,” Abernethy said. She has a special request when her career is finished. “When I’m cremated, I hope my son will put a pair of scissors on my urn. You can’t be in this business for 50 years and not be a little crazy. You need to have a certain personality to do this. You have to go with the flow,” Abernethy said.